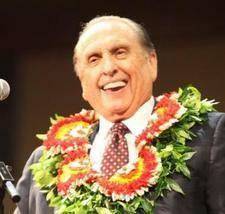 Three decades have passed since President Thomas S. Monson directed the preparation of the LDS edition of the Holy Bible that would redefine how English-speaking members learn and study the gospel. The Church leader counts that milestone event as one of the most significant assignments of his life — an assignment that would blend academic expertise with the clarifying powers of heaven. Now President Monson and millions of members across the globe are celebrating another heaven-driven milestone in Church publishing history: the publication of the LDS edition of the Bible in Spanish. The First Presidency announced its publication Sept. 13 in a letter read in sacrament meetings in Spanish-language units worldwide. "The edition is based on the Reina-Valera translation and is titled Holy Bible: Reina-Valera 2009," the letter stated. "It contains new chapter headings, footnotes, cross-references to all of the standard works, and other study helps that will help your understanding of the restored gospel of Jesus Christ." The First Presidency went on to encourage Spanish-speaking members to obtain their own copies of the new edition of the Bible and use it in their personal and family scripture study and in their Church meetings and assignments. "As members prayerfully learn and teach from the scriptures, their testimonies will grow and they will receive greater direction in their daily lives."